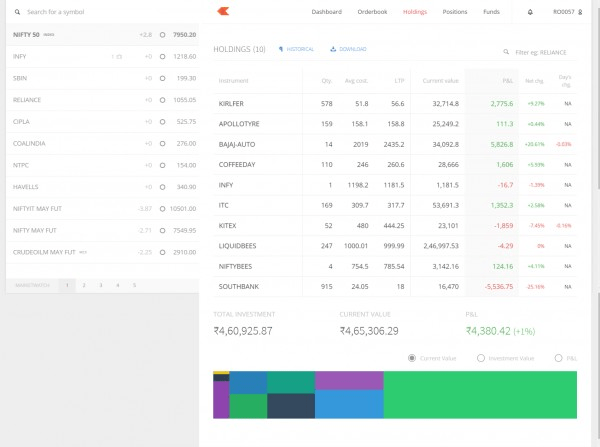 New Dashboard: Zerodha‘s new Kite offers you brand new dashboard. Here you can see your account summary and scrips at a glance. Also you can see your favourite scrip here and place a buy sell order without adding it into market watch. You can access Zerodha Kite Web 2.0 almost instantly by filling up the form below and asking for our assistance. Check your positions and holding in single mouse click. Export to excel with ease. 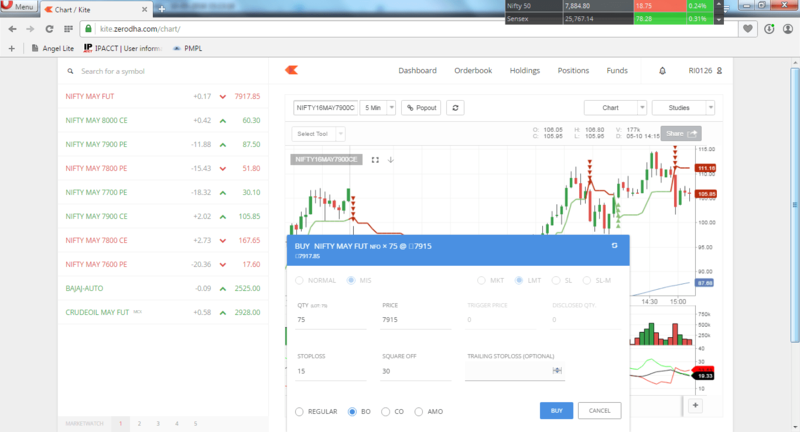 New Zerodha Kite Web 2.0 contains many useful features. Kite charts now contain unlimited data. Even BSE charts are available now. Overall Kite Web 2.0 has clear edge over other broker’s platform in the point that it can be opened from any web browser and android app OR IOS app. The charting and trading is possible even on 2G data, so even traders living in tier 2 cities can start trading using this terminal. 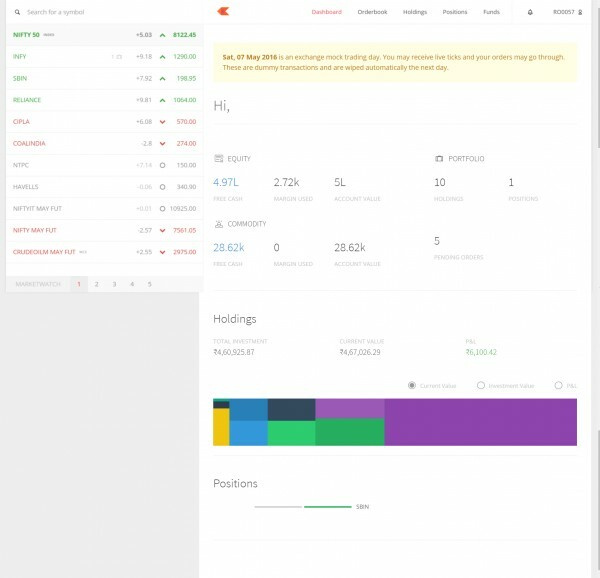 Zerodha has not yet came up with videos about the new features. But videos are available in youtube. Readers can open a Zerodha a/c by clicking HERE.